The Battle Born brand is synonymous with high standards and vigorous commitment to remedying the community through cannabis. a dispensary rated as one of the top dispensaries in Nevada on multiple occasions. If you’re asking yourself where you can get your cannabis products, visit Essence for top-shelf cannabis products. 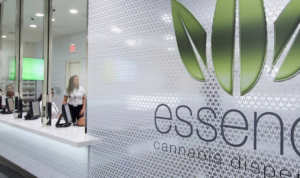 Essence is a 13-time winner on the Leafly List, which ranks the best cannabis dispensaries in the major regions of North America. Two of Essence’s three locations were named winners in the Fall 2017 edition of the Leafly List. The main reason they rank so highly on a multitude of Leafly Lists is due to their focus on their patients. Essence couples superior, all-natural medical marijuana with unmatched service and experience to fulfill their mission: restoring individual health and happiness. This dispensary is committed to excellence and only hire and train the most qualified and knowledgeable staff. Patients can schedule an appointment with the onsite registered nurse at Essence to find the best Remedy for them. Essence works with pharmaceutical grade cultivation facilities to provide cannabis products unsurpassable in taste and healing power. Their three locations have different menus to cater to the needs of their customers. The Henderson menu exclusively provides to medical marijuana patients, while the West Tropicana and Las Vegas Strip-exclusive locations serve both medical and recreational cannabis consumers. Ordering from the Essence menu is exceptionally convenient thanks to their online ordering and text to order services. 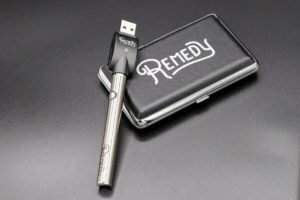 Essence is home to a variety of products, but their signature vape cartridges for their vaping concentrates. They include a variety of vaping tools including disposable pens like the Bliss Disposable Pen and the Green Crack Bullet, but none is more famous than their A$AP Rocky Flacko Candy Pen collection kit. We are proud to partner with the Las Vegas medical marijuana dispensaries, and Essence has proven time after time they are among the best. Time is of the essence, so stop wondering “Where can I find my Remedy cannabis products?” and visit Essence, today!